This is a tongue in cheek recipe. I’m not sure how much news ya’ll follow, but there seems to be a rash of pepper spray incidents lately. OUCD, Black Friday, and even local high school football games. I wanted to make a new spice mixture because I’ve grown bored with the usual Spike, Tony’s, and Slap yo Momma. This recipe has 6 different kinds of pepper, hence the name and jab at recent news. It’s spicy but full of flavor. The cinnamon is mild but adds great depth. 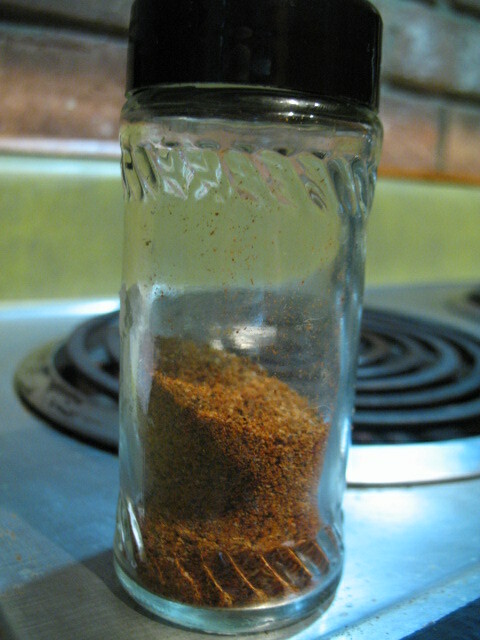 This spice rub would work on chicken just at well. Read below for a tasty dose of crowd control. Mix together and rub on to meat. 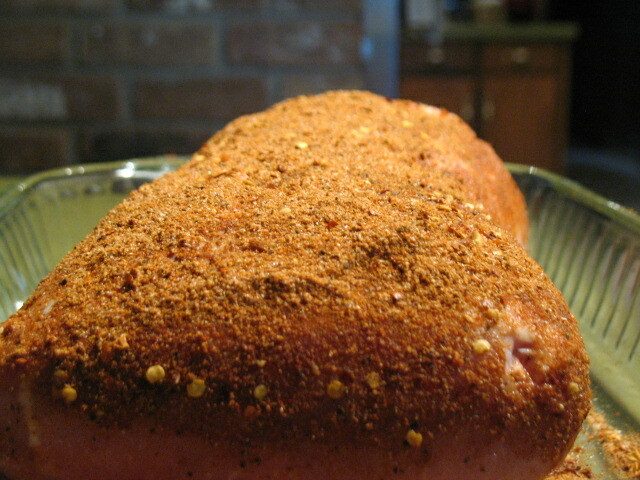 I had enough spice mix for 4lb pork loin and still had plenty left over for another time. I did not think ahead and my pork loin was still mostly frozen. 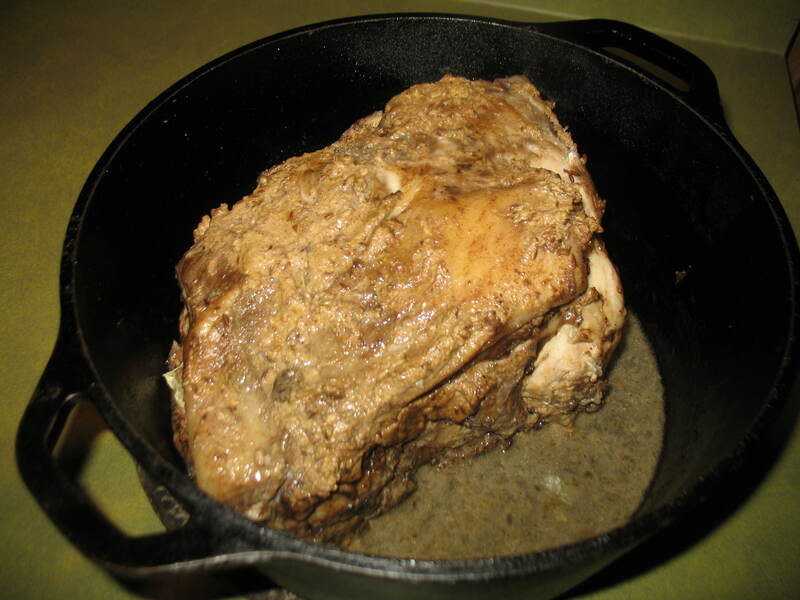 It cooked at 250 for about 5 hours covered. Then about 1hr after it was shredded in the juices that had cooked out. I would recommend using a fully defrosted pork, but I’m just not that prepared. This was super full of flavor and spice. I really enjoyed it and had a ton of leftovers for the week. Let’s hope this is as close to the real pepper spray we will ever get. The tasty side. So it seems that coffee dry rubs have been making the rounds on the food sites I follow. I decided it was time I give this a try for myself. we ran out of wood chips so I couldn’t smoke these ribs. Turns out they were very tasty without the smoker. 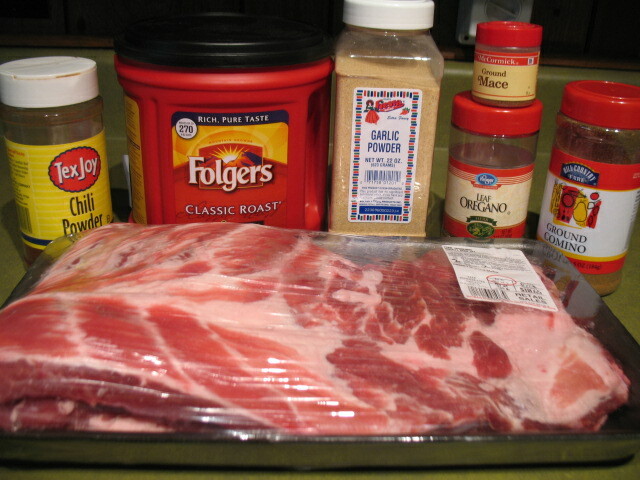 The coffee flavor became more of a smokey flavor for the ribs. Next time I’ll probably up the heat on these, as they were tasty but mild. Grind in a coffee grinder or food processor until there are no longer large chunks of coffee. Rub on the ribs. 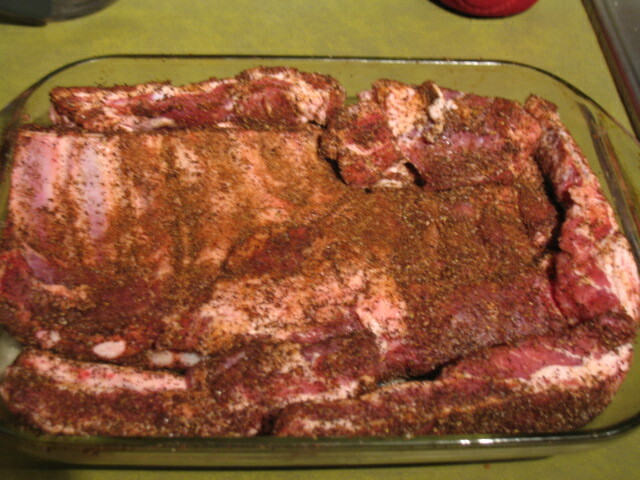 Place ribs in an over safe dish, and cover with tinfoil. Cook at 200 for 5-7 hours. We went to visit friends at the 4 hour mark and they were almost done. I’m sure you could have eaten them then. I like mine so tender the meat falls off the bone. 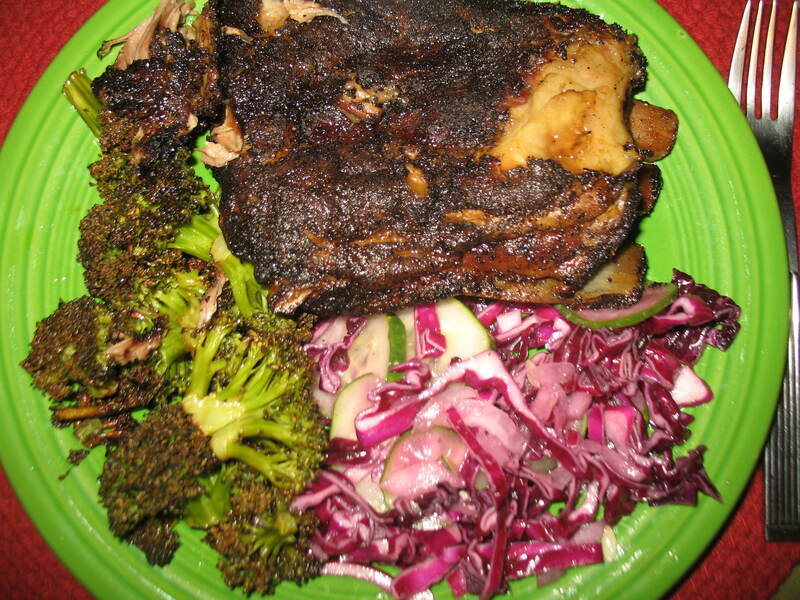 I served this with some red cabbage coleslaw and roasted broccoli. We made bacon that morning in the oven. I didn’t pour off the bacon fat from the cookie tray so I cooked the broccoli in that. It was very tasty. 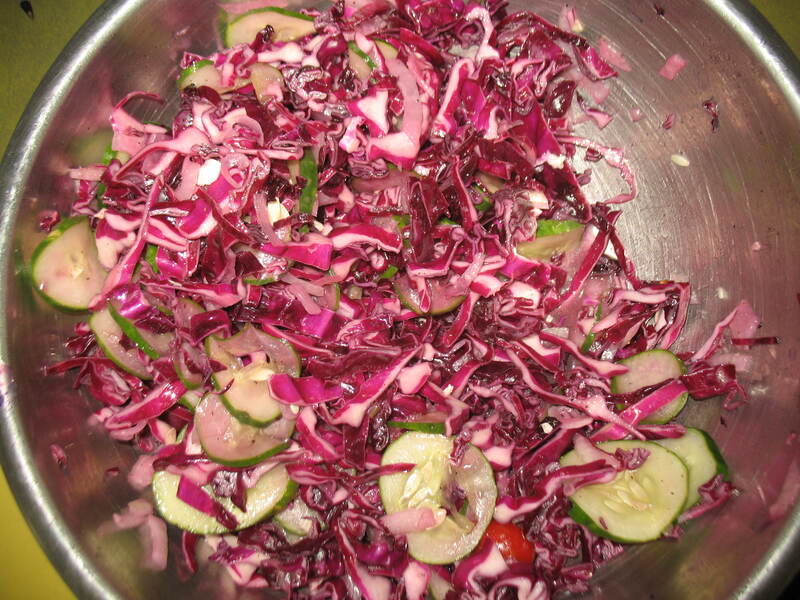 For the slaw I used about 1/4 cup of apple cider vinegar, 1/4 cup of olive oil, and some salt and pepper. 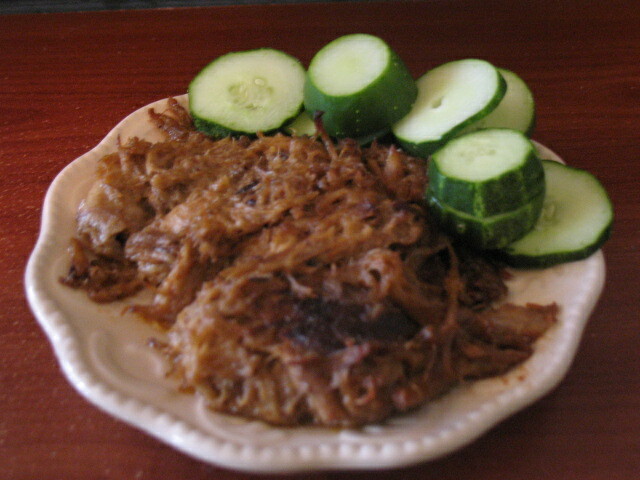 I chopped up about half a head of cabbage, one whole cucumber, and 1/4 cup of thinly sliced onion. Make this ahead of time and toss it a few times to really get the oil and vinegar to soak in. I was talking about dinner with one of my students on Wednesday. She said she wanted chicken noodle soup. I said I was having leftover carrot soup with chicken legs. Then her face lit up and she asked if I was going to put it on my blog. It makes me smile every time I hear that someone reads my blog. But someone as sweet as miss Kaleigh? awesome. So Kaleigh, HI! This one is for you. I made this rub up by just throwing things together until it smelled good. I have a good nose for that. It has taken years and lots of failures to get here. Thankfully this time I wrote down my success. I rubbed this on some chicken legs and then grilled them. We ate this with leftover carrot soup and some grilled zucchini. 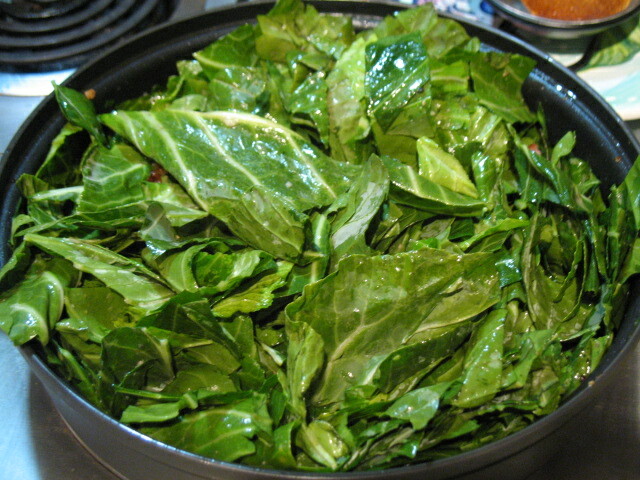 Believe it or not I had never eaten greens until I moved down south. Shocking, I know! I avoided greens for the longest time expecting them to taste terrible. Why did I wait so long? 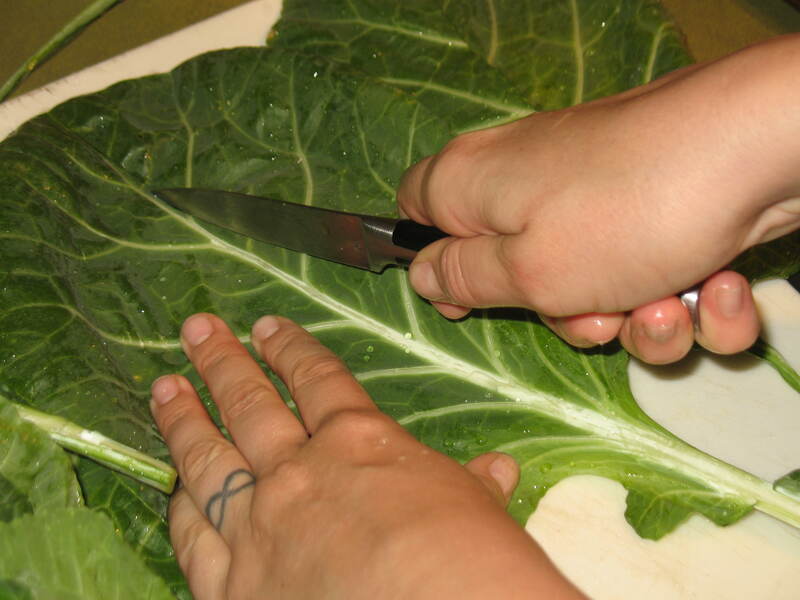 Collard greens are delicious and full of great for you nutrition. 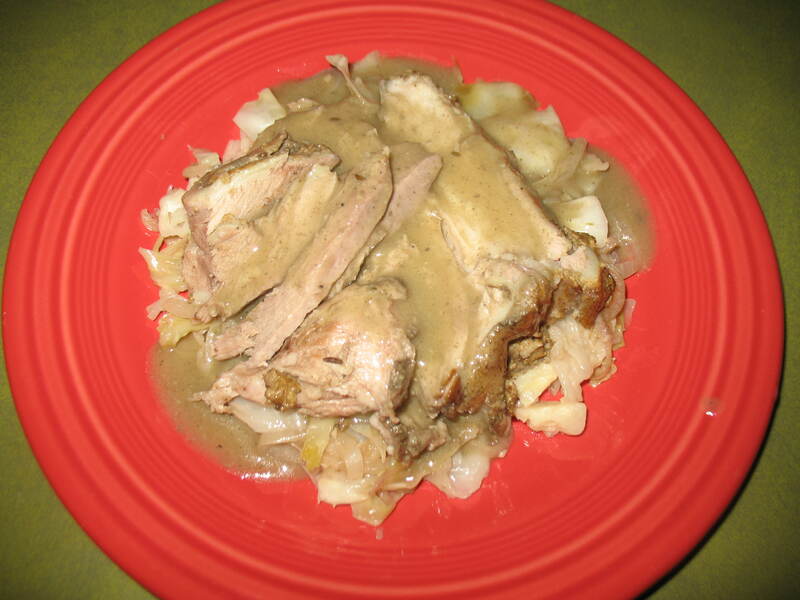 It is very closely related to cabbage but it doesn’t form a head like cabbage. 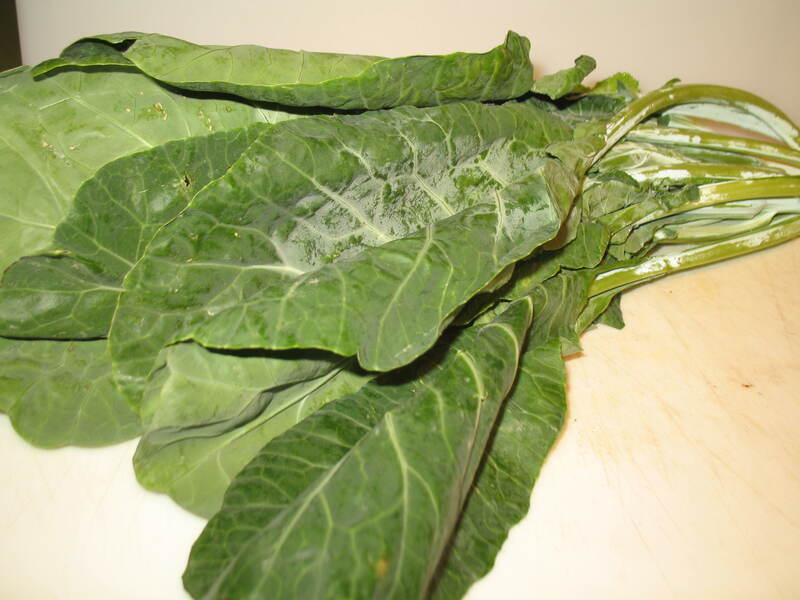 They are high in many vital minerals, they help lower cholesterol, and have been shown to reduce the risk of cancer. 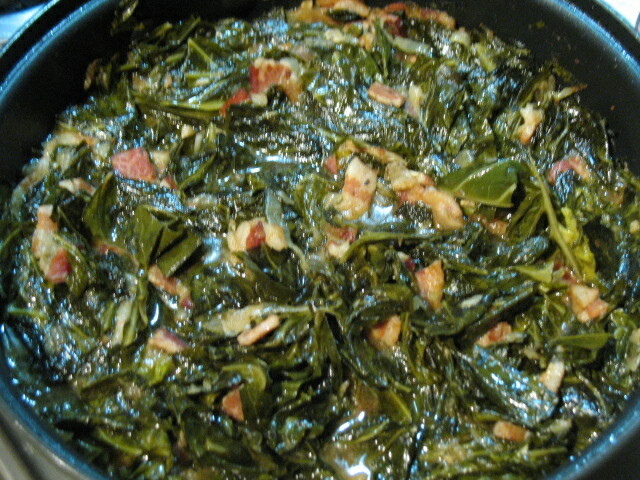 Look here for more on collard greens. They are also very cheap, usually under a dollar for a head. The dark green leaves take a little more time to prepare than just eating a salad but the taste and health benefits are definitely worth it. I doubt that any true southerner would say these are the traditional way to prepare them. But, I feel everything tastes better with bacon and butter. 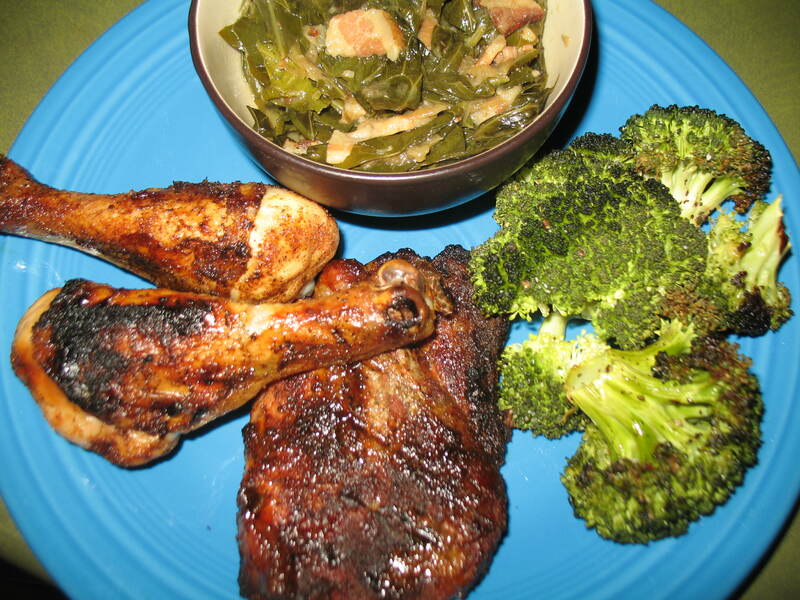 Try this recipe out and I guarantee you will be a greens convert too. For our meat portion of the meal T found a spice rub in Men’s Journal that was very tasty. We made a few alterations to the original cutting a significant portion of the salt and sugar. It is spicy and sweet without being overpowering. Below are the measurements we used. Wash the greens well. No one likes a gritty side dish. 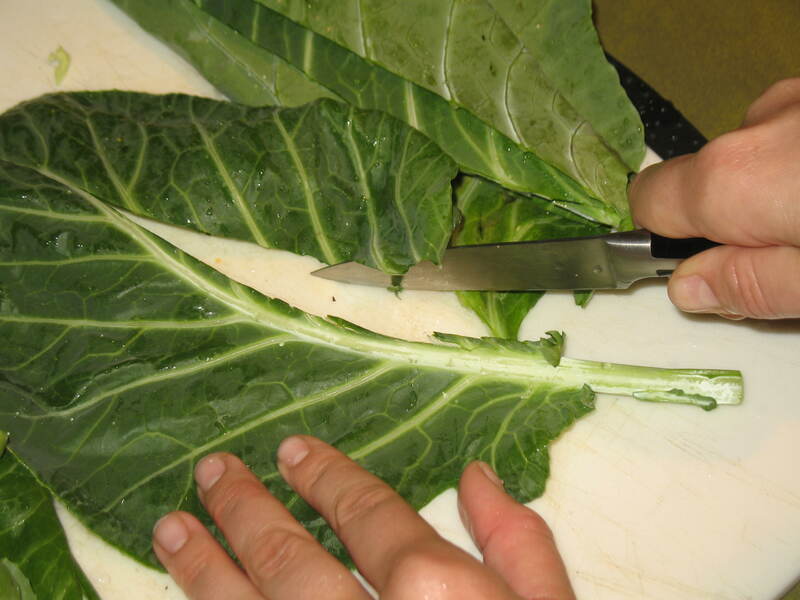 Trim the main stem from the center of the leaf and discard. Cut the leaf into ~1 inch squares. Melt butter in a large deep pan over med low heat. 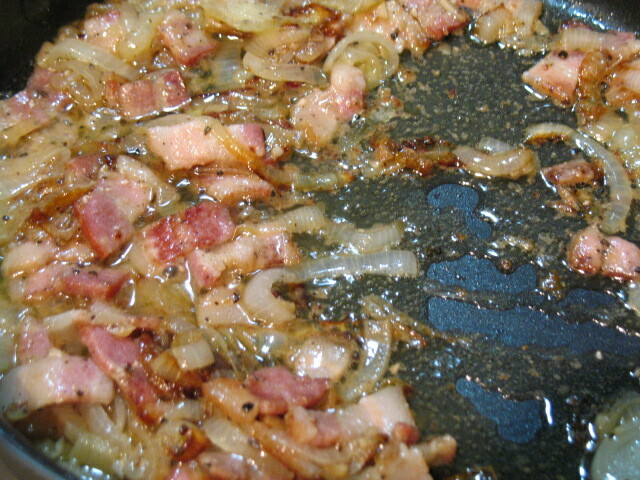 Add bacon, onions, and pepper to the butter. 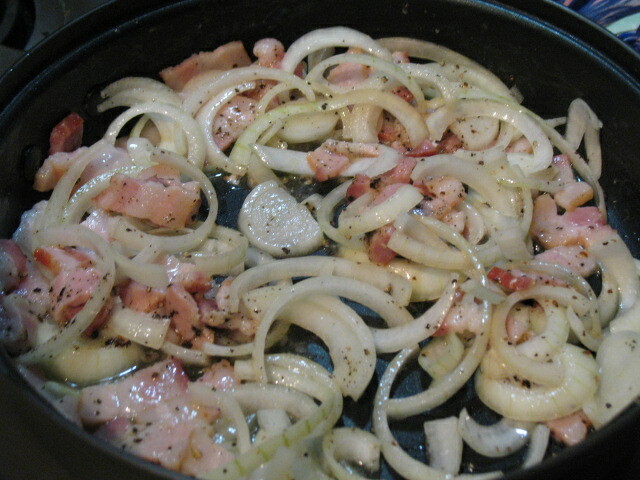 Cook bacon and onions on medium low until the onions begin to get soft and clear. 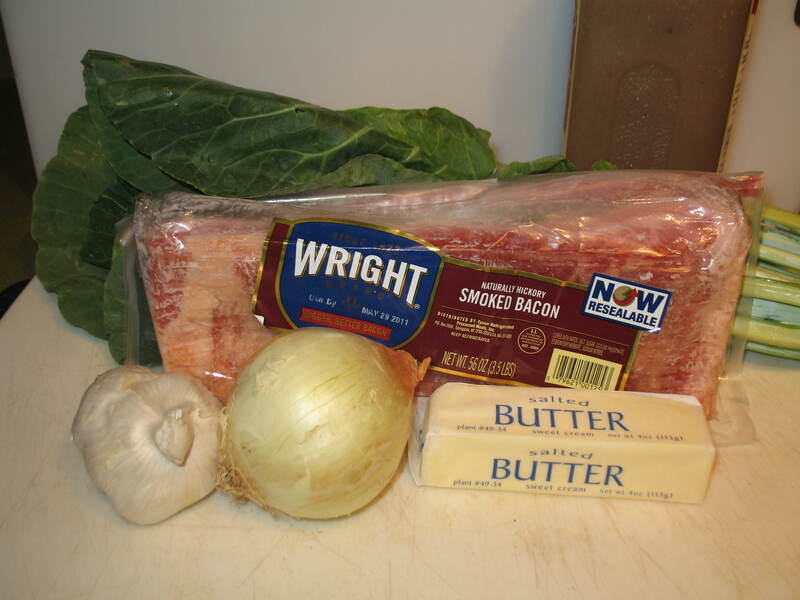 Add the garlic and continue to cook until you have a browned the onion and rendered a lot of delicious fat. Remember fat is your friend. Fat is what our brains run on. Don’t fear the fat! Add the greens and stock to the pan. Toss a few times to coat and cover. The greens take about 30 minutes from this point. You will want to occasionally stir them. They will be lovely and wilted when done. If there is still a lot of liquid uncover and stir for the last 5 minutes. 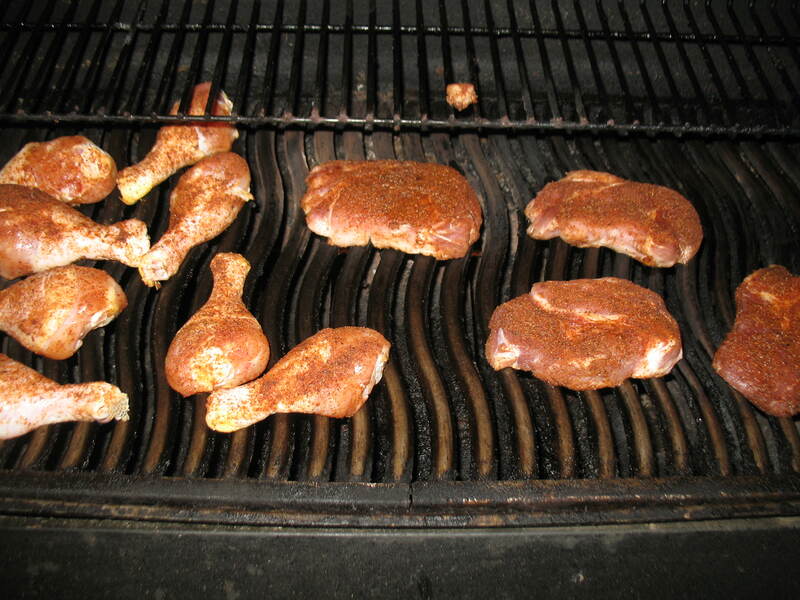 I seasoned some chicken legs and pork chops with the rub and grilled them until done. 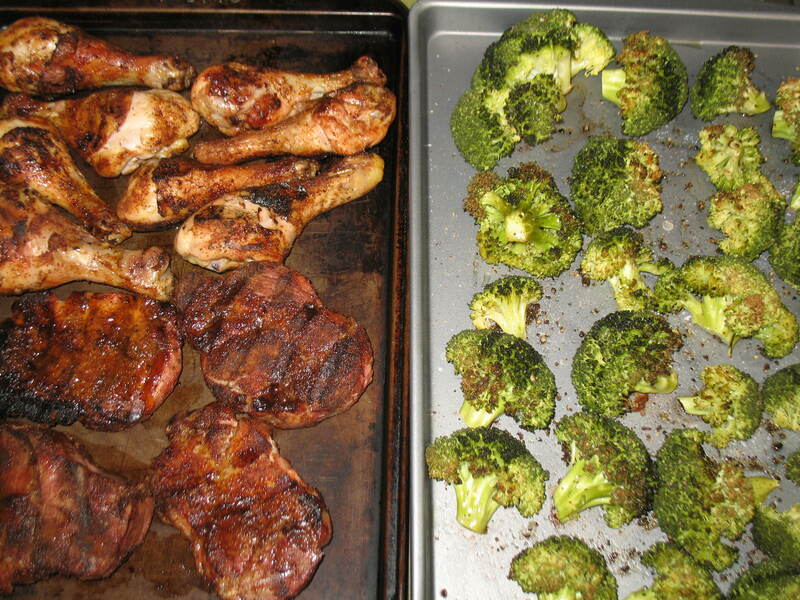 We ate the meat and greens with some roasted broccoli. This is my favorite way to make broccoli and it is so simple. 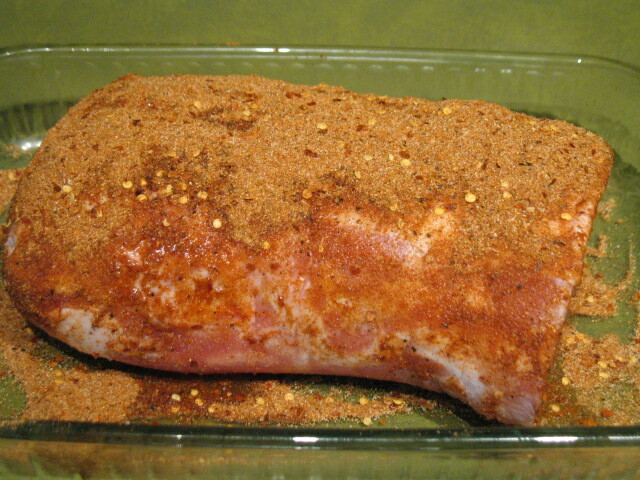 Just cut up into large chunks, drizzle with olive oil, sprinkle salt and pepper, then roast at 350 until lightly browned. 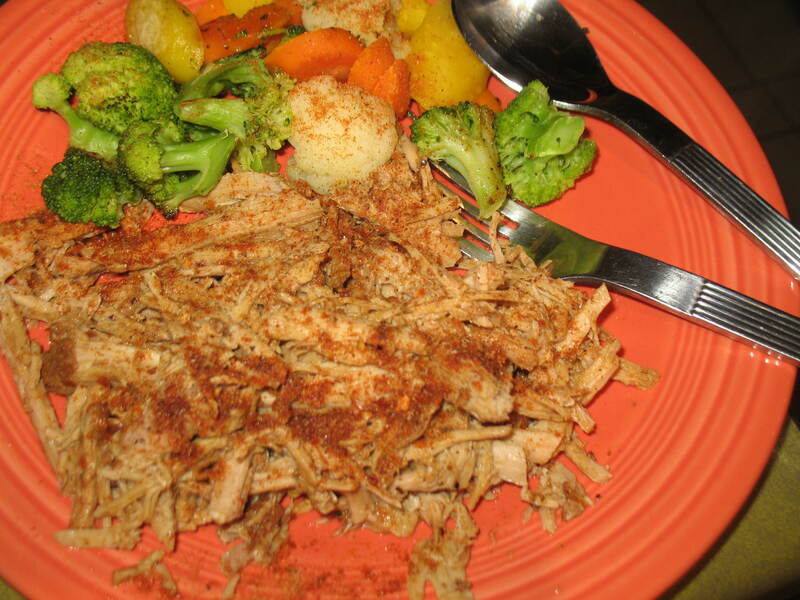 This meal is perfectly paleo and so yummy. Try it for your next BBQ.